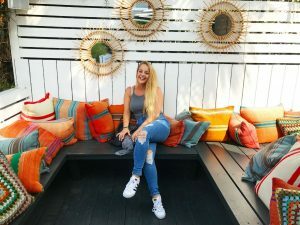 There are so many vibrant, artistic, and unique streets to visit in Los Angeles: Hollywood Blvd., Abbot Kinney, 3rd Street in Santa Monica, and many more. 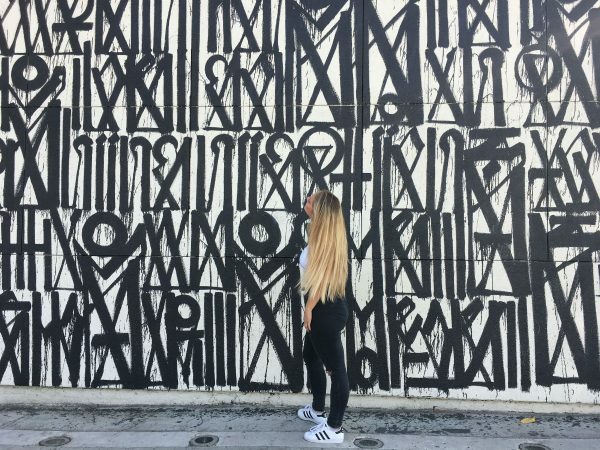 Among these famous places to visit, we have Melrose Ave. Here, Student Ambassador Kim (Switzerland), tells us all about Melrose! 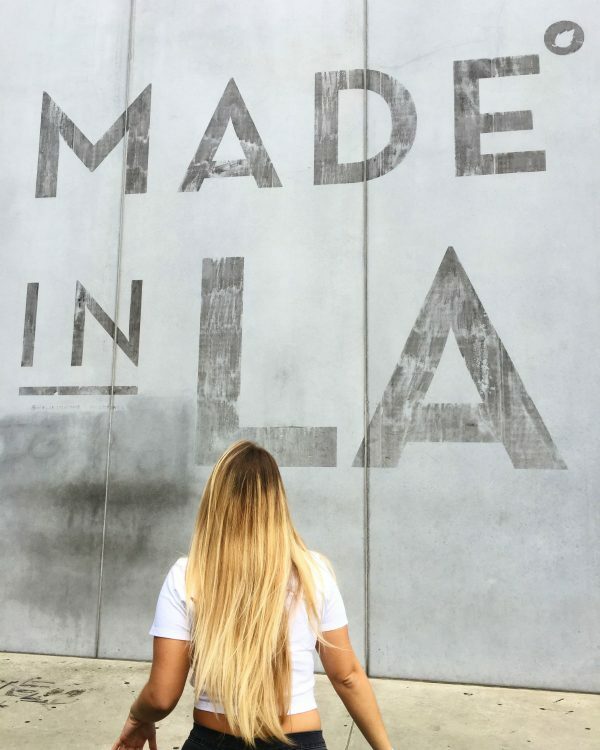 Today I’m going to share my experience on Melrose Avenue. It is a very fancy avenue with a lot of different places to take pictures. I went there twice during the weekend and it was not crowded. You can eat good food in some cute little restaurants. It is maybe a little bit more expensive that other places, but still reasonable. 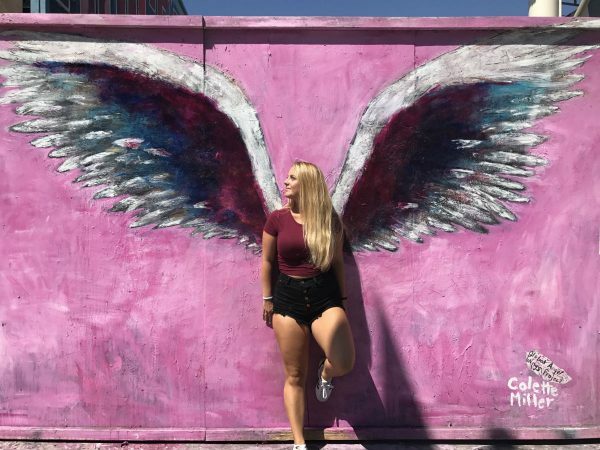 I had a lot of fun taking pictures with all of the famous walls: Paul Smith’s Pink Wall, Made in LA Wall, and one of the very famous Wings Walls. It’s pretty cool to take pictures there for your Instagram 😀 Let’s have more followers!! You can also go to the Vintage market street — you have to pay $5 to enter, but it’s a very nice experience and if you are lucky, you can maybe even see some famous people. 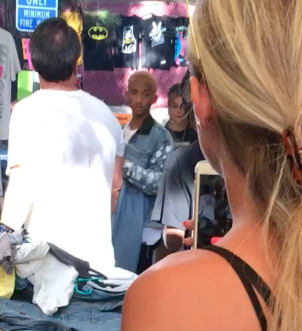 Actually, when I went there I saw Jaden Smith — it was so exciting!! I advise you guys to go there and to have enough room on your cellphone to take pictures!! I hope you will like it as much as I did. Thanks, Kim, for this great advice!